Welcome to Haze Hair & Beauty, the home of expert colour, bespoke styling, bridal and pampering beauty treatments. With some of the most creative and innovative colourists, stylists and beauticians in York, our team have a wealth of experience in all thing’s hair and beauty. Whether you’re seeking a colour change, colour correction, need help to style your hair or desire a prescription for the most nourishing treatments to ensure your hair always stays healthy, we delight in joining you on your journey to the best hair ever. Our highly trained stylists and beauticians have years of experience in their chosen fields and really can be classed as industry experts. Haze offers a modern, fresh and relaxed environment where you can experience the best in hair care & beauty treatments, professional advice and attention. 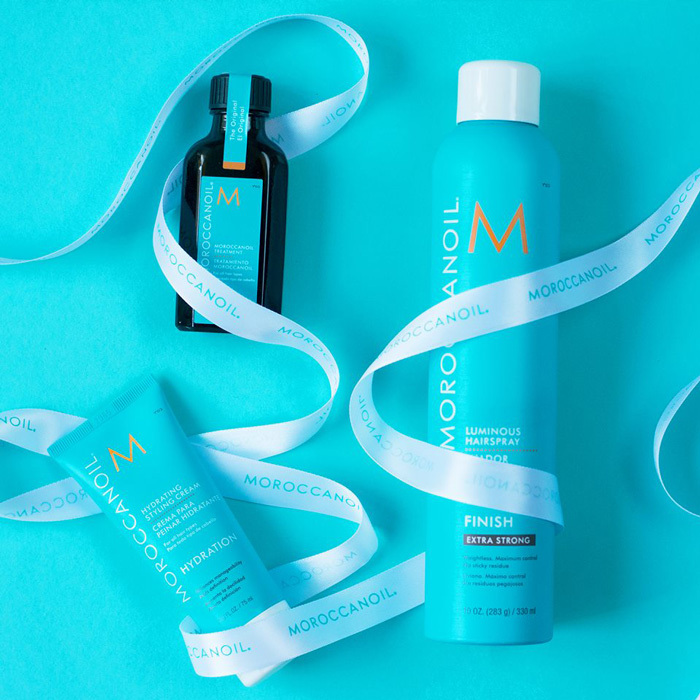 We currently stock some fantastic salon & home care products and hair styling equipment with offerings from GHD, Wella, Nioxin and Moroccanoil. We continuously strive to make sure we are up to date with the latest techniques, products and styles within the current trends of hairdressing & beauty. Finally, to complement your hair, for that extra feel good effect, we offer relaxing pampering beauty treatments to give that all around glow. Qualified beautician with years of experience running successful hair & beauty salons. Specialisations include facials, microdermabrasion, waxing and brows. We have a simple philosophy; to continuously improve client experience and always have staff development at the very heart of everything we do; it’s that simple! At Haze we try to improve the everyday experience of our clients and have been rewarded with significant client growth over recent years. Training is the cornerstone of everything we do and has always been a huge part of what we strive for when planning staff development. Our promise: “To work with you to achieve an individual finish that matches your own style and is perfect to the last detail”. Emma joined the team in 2010 completing her training at the salon. She soon became an exciting team member, quickly growing in confidence and ability. She has a keen interest in colour and has attended courses and training at the Wella academy in Manchester. Joined the company in 2012 and qualified from York College. Recently she joined the Haze team from our city centre salon. Abi offers a wide experience to our clients across the full range of hair treatments. Her specialisations are Ombre, creative colour techniques, colour correction, contemporary cutting styles and pin-ups for special occasions. Natalie joined the team on the 18th April 2013. Natalie showcases her talents in many areas, but especially enjoys gents cutting and styling. With an ever growing male influence in the hair industry Natalie is your girl when it comes to the latest techniques and trends. Camilla joined our team on the 20th June 2014. She is a fresh young talent full of ideas. She has a fantastic future ahead of her and after completing her level 3 in hairdressing in 2015 continues to develop her skills everyday. Qualified from York College and joined the company to provide beauty treatments to our expanding hair & beauty services portfolio. She has become a key member of the team and has quickly developed a loyal following from some of our long-standing clients. Having completed numerous vocational courses, she offers up to the minute treatments. Ashley specialisations include threading, lashes, tinting, brow waxing, manicures, pedicures and make-up for special occasions. Brands used: CND, Shellac, Dermalogica and Dolly Lashes. 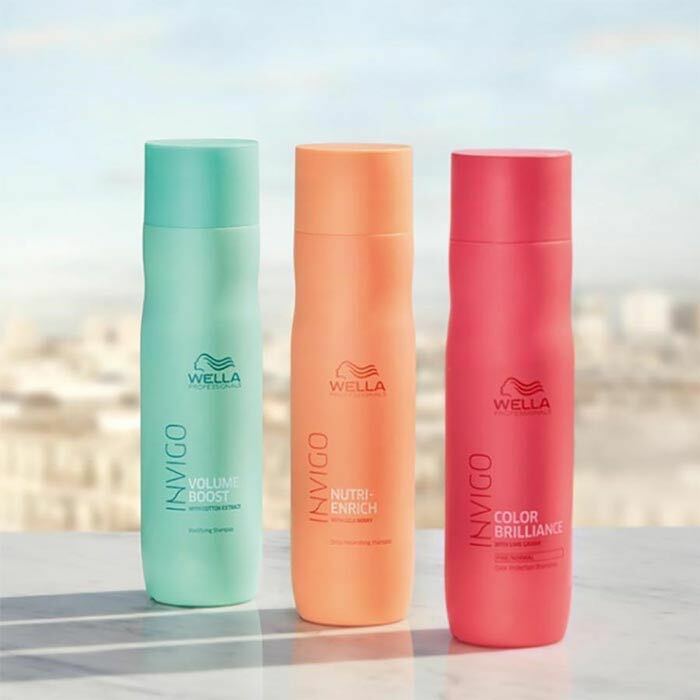 Haze introduce Wella New INVIGO high performance care for all hair needs. INVIGO blends advanced technology, new ingredients wrapped in delightful fragrances. INVIGORATING your hair and recharging. RECHARGE ON THE GO. LITTLE TIME IN – LOTS OUT! We are stockists of this amazing product range which has revolutionised the hair care industry. 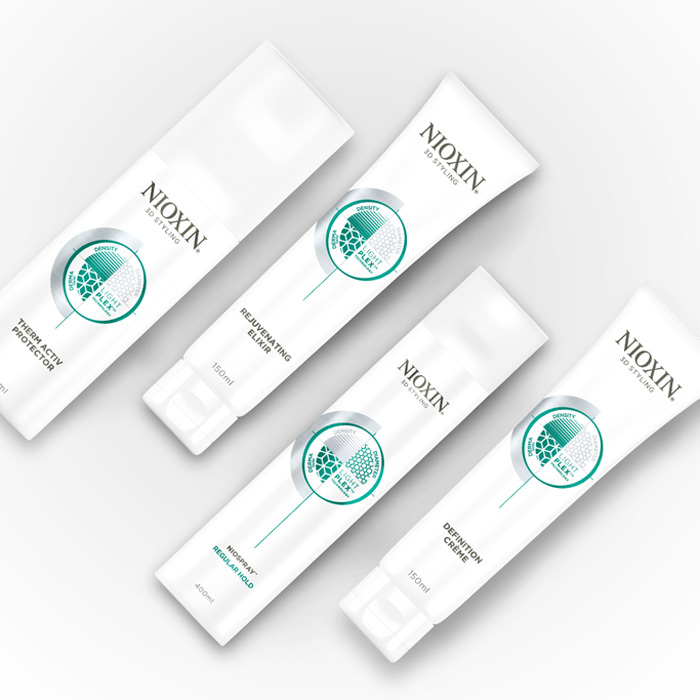 Nioxin works to reduce hair breakage, make hair less fine and improve the scalp environment to give you thicker, fuller-looking hair. We offer a loyalty card scheme which rewards regular clients with generous discounts on treatments.